When Michael stepped onto Spotless Stadium last Saturday he did so with little fan fare and even less recognition of the milestone that has taken him 9 years and 45 days to achieve, 200 AFL games. Michael becomes the 137th umpire to achieve the feat and only the 47th boundary umpire in the games history to come this far. However, what is even more remarkable is that Michael becomes only the 8th boundary umpire from interstate to reach the 200 game milestone. The others in that category are also modern day miracles. Darren Wilson, Mark Thomson, Jonathan Creasey, Aaron Deckys, Nathan Doig, Amin Chehade and Jamie Giles. Michael comes from an elite athletic background having attend secondary college at Ivanhoe Grammar in Melbourne. Michael was the under 18 Victorian 800 metre champion and he finished third in the same age at the Nationals. He took up umpiring as a way of earning some pocket money while going to university between athletic seasons. He never once contemplated umpiring as a sporting opportunity, despite realising that he probably wasn’t going to make it as a senior elite athlete. 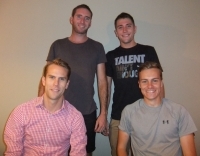 Michael spent two years with the VAFA before he contracted chronic fatigue syndrome and was forced to give away all exercise, including an opportunity to trial at VFL level. Every time he tried to make a comeback illness forced him out. Michael went on to complete his university degree and took up an opportunity to get a graduate position with a Sydney based company in 2008. He moved to Sydney knowing nobody but decided to contact the Sydney umpiring group for more of a social opportunity. Former NSW/ACT State Umpire’s Manager, Graham Glassford, who himself was in an elite athlete program remembered Michael and gave him an opportunity to train with the group. After not running for two years Michael quickly found his feet and remarkably returned to a very good level of fitness. An observation from the then National Boundary Umpires Coach, Keith Norman and Umpire’s Manager at the time Jeff Gieschen’s knowledge of Michael through Ivanhoe Grammar, Michael found himself umpiring the Sydney FL grand Final in 2008 and being offered an AFL contract in 2009. 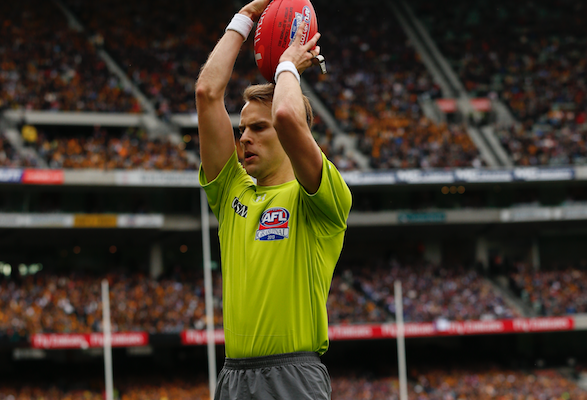 In 2013, the year Michael achieved the ultimate prize, an AFL grand final he called it, “umpiring nirvana. Everything just clicked. 2011 was a breakout season and I got to a preliminary final, but I was just happy to be there. 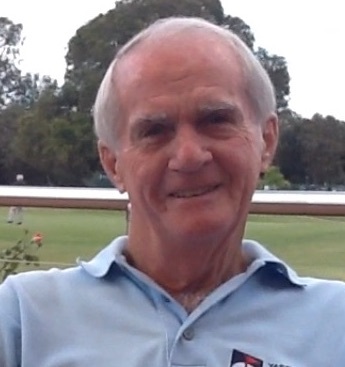 In 2012 I had a very good season and what I would call a good final series, but in 2013 I had a tailored approach with all of the resources the NSW umpiring group could throw at me including individualised training programs and whatever else I needed.” Michael recalled a game at Spotless Stadium where GWS was being beaten by 15 to 20 goals but he was smashing himself with a single-minded focus to take one more step and get the big one! “The finals panels in that time were full of grand final umpires in the mix and so it was extremely tough to crack a spot on grand final day. I have umpired one grand final and five preliminary finals so I’ve had to develop a perspective on what is success. Even though you are naturally disappointed, there are 34 other guys who would love to be out there for these fantastic games”. Michael was married last November in Hawaii. He comes into this season with a really good work, life, balance that puts everything into context and that simply permeates through the rest of his life.